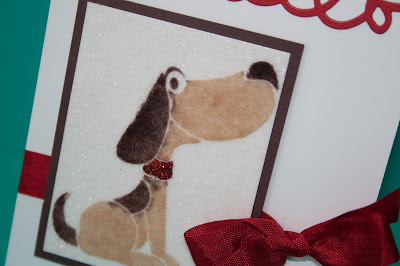 I was having fun playing around this weekend:) I got this dog stencil from Dreamweaver and have had this idea in my head for a while. I started with the 2 1/2" Tear-ific Tape from Sparkle N Sprinkle and put the Coconut Soap on the stencil then put it on the tape. 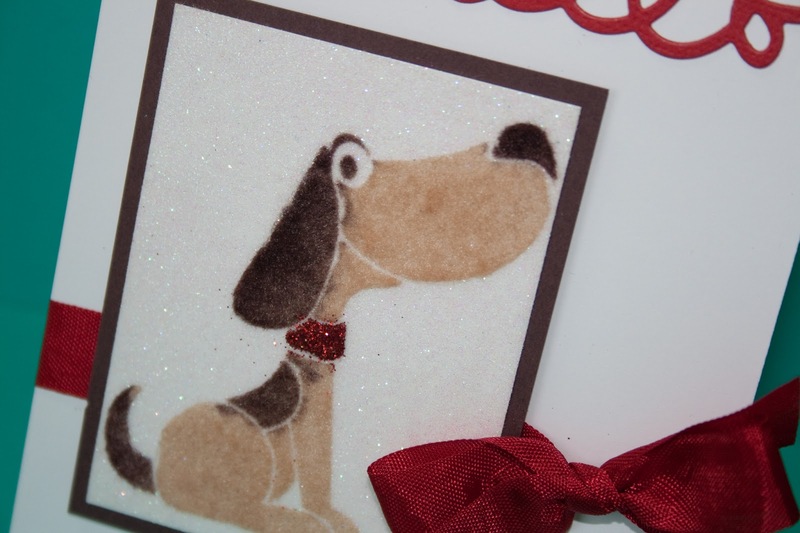 I used the Buff and Dark Chocolate flockings for the dog and the Fire Engine Red Glitter for the collar. (I could have done a better job masking the spots on the dog). Then after I used the Dimensional Glue and added more glitter to the collar. After I took the stencil off the tape I added Cloud Nine Velvet Glitter for the background. 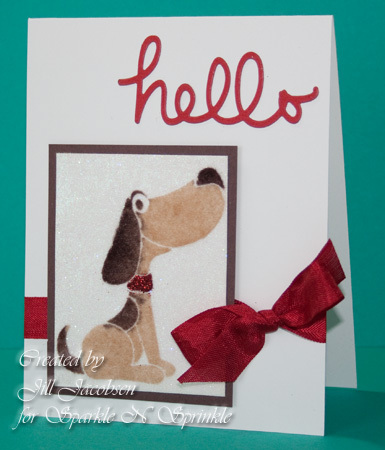 The Hello is a die from Crafters Workshop. On this card I participated in the Splitcoast Mixed Media Challenge . 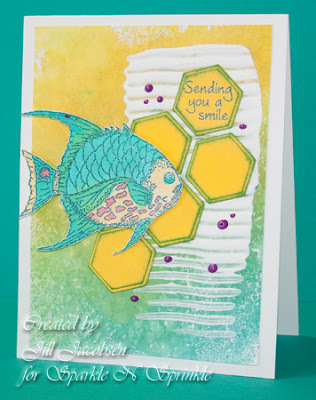 I used a stamp from Me & Carrie Lou and embossed with Mediterranean Star and colored with watercolors. The background is made from the Memories Mists and Gesso. Then I put some Gesso down and used a piece of plastic mesh to spread it. The honeycomb is from a die from MFT. The spots are Liquid Pearls. 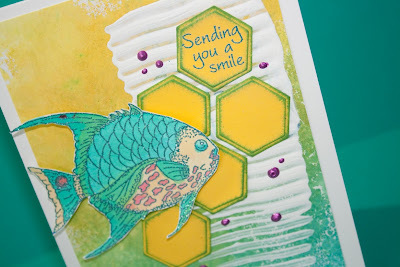 I am really enjoying playing with more mixed media lately....out of the ordinary:) Try something different this week when you stamp...play with some supplies you don't normally use in stamping!